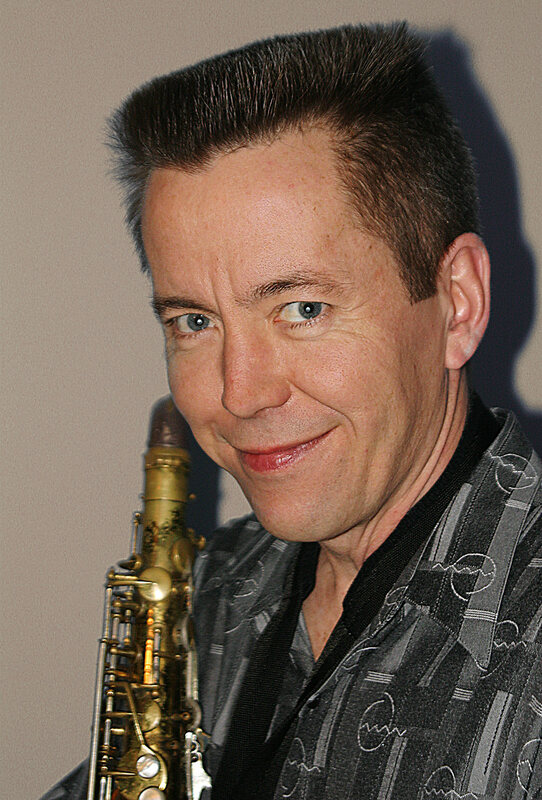 Paul Ahlstrand is one of the most in demand and versatile saxophone players working in the Boston area and beyond. Equally adept at alto, tenor and baritone saxophone, he has performed with 10,000 Maniacs, Alice Cooper, Jesse Dee, Rick Derringer, Doctor John, Ronnie Earl, The Four Tops, Ace Frehley, The Funk Brothers, Tim Gearan, Otis Grand, Mighty Sam McClain, Roomful Of Blues, Son Seals, Howard Tate, The Temptations, Eddie Vedder, Fankie Valli & The Four Seasons, and many others. He has played at major festivals, concert halls and nightclubs throughout North America and Europe. He is also a prolific arranger, drawing on his vast knowledge of classical orchestration techniques, specific R&B vernaculars, the entire jazz tradition and various pop sensibilities. Primarily writing for strings and/or winds, he is not afraid to incorporate unusual instruments like glass harmonica or circus calliope into an arrangement if it helps tell the song’s story. His arrangements can be heard on recordings by Drake Bell, The BellRays, Will Dailey, Jenny Dee & The Deelinquents, Bleu, Eddie Floyd, William Hut, Mandy Moore, Susan Tedschi, Toni Lynn Washington, Rachael Yamagata, and many more. His work has also found its way into several film and television soundtracks. Paul started his musical journey with piano lessons at the age of six. One fateful day in elementary school, the annual “music store band instrument petting zoo” paid a visit. He immediately was drawn to the saxophone. Whether it was the sound of the instrument or that the demonstrator seemed less dorky than the oboe or euphonium player is of little consequence. He was hooked. By the time he was in high school he was playing in two professional bands and sneaking into clubs on his off nights to hear his favorite players. After high school, he attended Syracuse University where he majored in music education. While there he had the chance to learn from and play with a distinctive group of artists in residence such as Thad Jones & Mel Lewis, Toshiko Akioshi & Lew Tabakin, Nick Brignola and Phil Woods. It was Phil that gave him the most practical musical advice, “shut up, drink a beer, play a song.” Paul learned perhaps more outside of class, playing in the city of Syracuse’s countless gin mills and by working as a copyist. One of his more difficult assignments as a copyist was to recreate the score of a piano concerto by Jan Ladislav Dussek, a little known proto-romantic composer. Most of the orchestral parts existed, as well the solo piano part and a piano reduction, but there were pages missing and no full score. The project was a giant puzzle that when finished, gave Paul a firm grasp on classical orchestration. After graduating, Paul returned to Boston with the intention of studying with Bill Pierce, but left after only three lessons to tour the country with a top 40 band. After being on the road for an entire year he once again returned to Boston, this time to freelance, teach privately and study with Charlie Banacos. In 1992 he began a ten-year stint with R&B vocalist Toni Lynn Washington. He arranged and co-produced Toni’s first Tone-Cool Records release. “Blues At Midnight” which garnered W.C. Handy and Naird award nominations. He joined Washington’s road band, traveling to festivals throughout the U.S. and Europe, and contributed to her two follow-up CD’s, “Good Things” and “It’s My Turn Now.” His proven successes earned him credits on other Tone-Cool releases by The Love Dogs, Mike Welch and Susan Tedeschi’s Grammy-nominated “Wait For Me,” including a killer horn arrangement on the title track. In 2001, Paul left Toni Lynn Washington’s band to pursue a more varied musical projects both live and in the studio. In 2005, while playing a Sunday evening residency at the venerable little Cambridge music venue Toad with a jazz quartet, he was approached by Gibraltar Records to record the group. “The Sunday Hang” was the result. Released in 2006, the record features Ryan Claunch on piano, Jesse Williams on bass and Dave Mattacks (Fairport Convention, Paul McCartney, Elton John etc.) on drums. The record received many favorable reviews and earned Paul a Boston Music Award nomination for Jazz Artist of the Year. 2006 was also the year he took a faculty position at Tufts University, where he still teaches jazz saxophone and improvisation. In addition to a busy performing, arranging and producing schedule, Paul is quick to offer his musical services to help others in need. He has given his time to the “Hot Stove, Cool Music” benefit concerts for several years, both in Boston and Chicago. He also serves as the musical director of the Legendary Vudu Krewe whose annual Mardi Gras Balls have raised many thousands of dollars for The New Orleans Musicians Clinic, and other causes. Jenny Dee & The Deelinquents: Electric Candyland - Tenor Sax, Baritone Sax, Clarinet, Bass Clarinet, Circus Calliope, Horn Arrangements, String Arrangements. Independence Day Beach Ball w/ Al Copley.